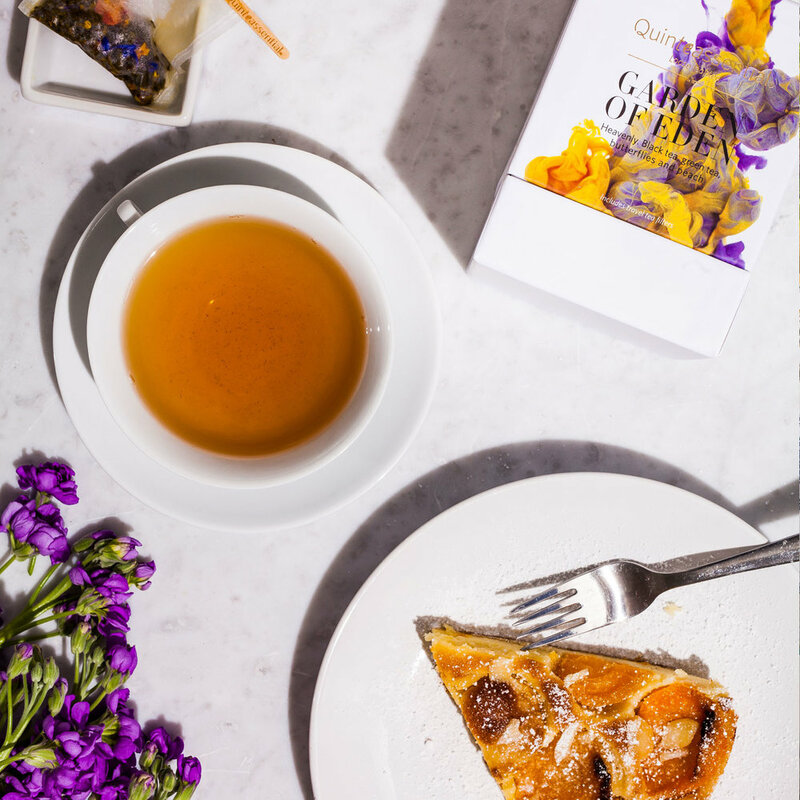 Inspired by the Pleasure Gardens and exotic butterfly house at Blenheim Palace, Garden of Eden is a delightful union of black and green tea, infused with a bouquet of wildflowers. Roses, sunflowers and blue cornflowers combine with a billowing note of Japanese peach to echo the sensuous aromas of the best man-made Eden. Standard UK Shipping £4.74 - UK delivery on orders over £35. Brewing: 1 teaspoon/cup. Water temperature 85˚C. Infuse 2 minutes. For a perfect brew, scan QR code with any free code reader app to trigger a unique soundtrack that acts as a tea-timer.